GIFT VOUCHERS For an amazing gift that they will not expect for Birthdays or Christmas - or just because - or a treat for yourself - these Gift Certificates are valid for a year*, so you can take your course whenever suits. Please check suitability with us first if you have any concerns. As of 2017 no novice riders are accepted on full day Horse Archery courses - please see our small print below for all our T's and C's and also our Q and A page. When you have purchased your chosen gift voucher we will automatically receive a notification here and will send your voucher out to you first class post to the address you have registered or selected on your Paypal account. If you need it sending to a different address you can send us a note or email/call us. We now offer monetary gift vouchers redeemable against any course of your choice and to any credit value. So you can purchase a voucher for £20, £40, £100 etc and then this can put towards the course total cost. The gift vouchers are sent to the address required in a plain envelope to keep it secret! You can also pay by debit or credit card over the phone. 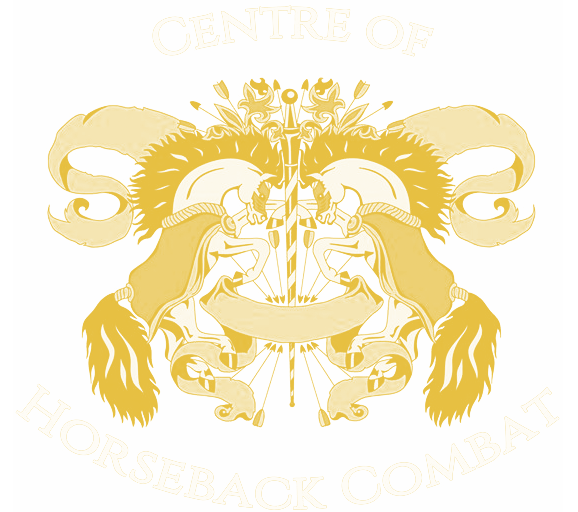 Please do not hesitate to contact us by email info@horsebackcombat.co.uk or fill in the form here or should you need advice, have any questions relating to your purchase or other special requirements. You have the right to return any Gift Voucher bought online or by telephone within 7 days of original receipt for a full refund. The Centre of Horseback Combat Ltd is unable, however, to process returns or reimburse any payment transactions for a gift voucher outside of this period. Gift vouchers are interchangeable and can be redeemed towards the value of a higher cost course. Gift cards expire 12 months from the date on your voucher, please check your vouchers expiry date. After this time the cards will expire without notice from ourselves. We offer 6 month voucher extensions for £25 per voucher, these are payable using a credit or debit card over the phone or by BACS. These must be purchased whilst the voucher is still valid. You will receive an email extension. Please check with us first the suitability of any gift voucher if you have any concerns. As of 2017 we no longer can accept novice or nervous riders on the full day Horse Archery courses. We do not accept any non riders on any courses. You will get more out of your time here on a Horse Archery day if you can ride and canter. Novice and experienced riders can attend the Rider Confidence courses. Course dates are posted on our website and Facebook page around late Jan, start of Feb of the new year, if you want to get a prime date we advise aiming to book early as the centre cannot be held responsible if you cannot get your first choice.